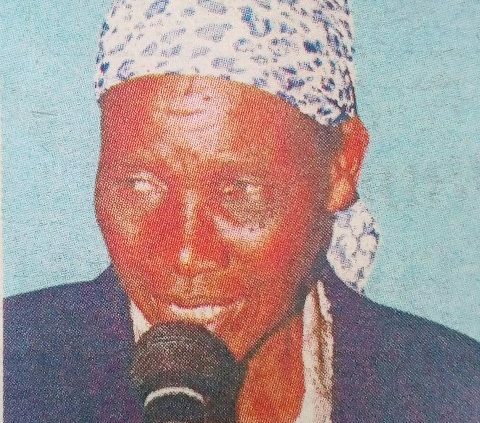 It is with humble acceptance of God’s will that we announce the passing on of Mrs. Monicah N. Kitonga after battling with long illness. Daughter of the late Mr. and Mrs. Mwangangi Matu. 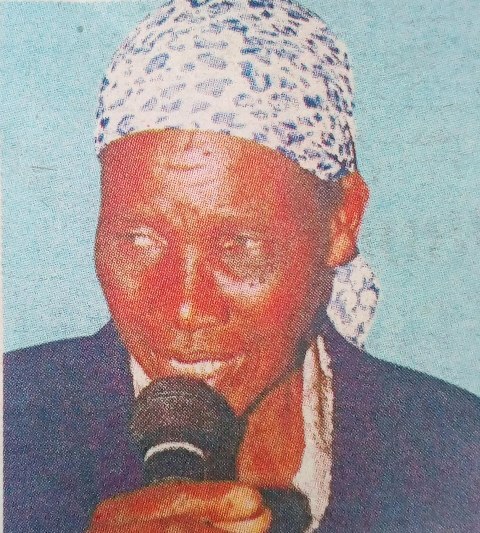 Sister of the late Ann Nthambi, the late Joyce Ndunge and Benjamin Mutungi. Loving wife of the late Deacon Joseph Kitonga Molo. Loving Mother of Mary Mueni, Morris Muteti, Agnes Kanini, Emma Ndolo, Ruth Nditiva, David Mutiso, the late Martha Ngina, Elizabeth Nthenya, James Kyalo, Samuel Molo, Anne Katunge, Dorcas Mumbua & Daniel Musyimi. In-law of the late Mutungi Muindi, the late Francis Kariuki Mugo, Paul Mwongela, Sammy Kavoo, Michael Mutava, Peter Mukelelya, Musyoka, Nguku among others. Grandmother of Cyrus Ndolo, Muuo Julius, Musembi Morris, Mutua Manthi, Faith Muteti, Ryan Kitonga, Emmanuel Kitonga, Isaac Molo, Gideon Makau, Elsie Mwende, Muthoki Ngina among others. Great grandmother of nine (9) children. Friends and Relatives are meeting daily at Nairobi Garden Square from 5:30pm for prayers and funeral arrangements. 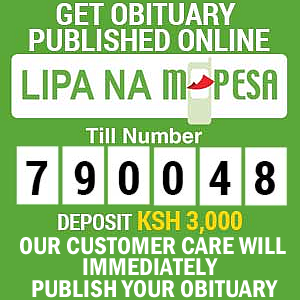 The cortege leaves Machakos funeral home on Thursday 18 April 2019 8:00am for funeral and burial service at Mavivye village, Makueni county. We love you much Mum but God loved you more.